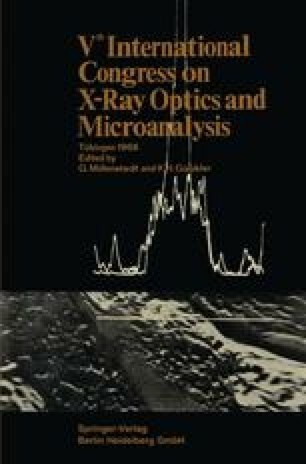 When the electron beam of a microprobe strikes the surface of a specimen, considering in this case a single element, one part of the electrons is reflected or back scattered. The other part which enters the specimen can excite X-rays. The kinetic energy of the electrons decreases with greater penetration depths.